Andalusian music, a.k.a. 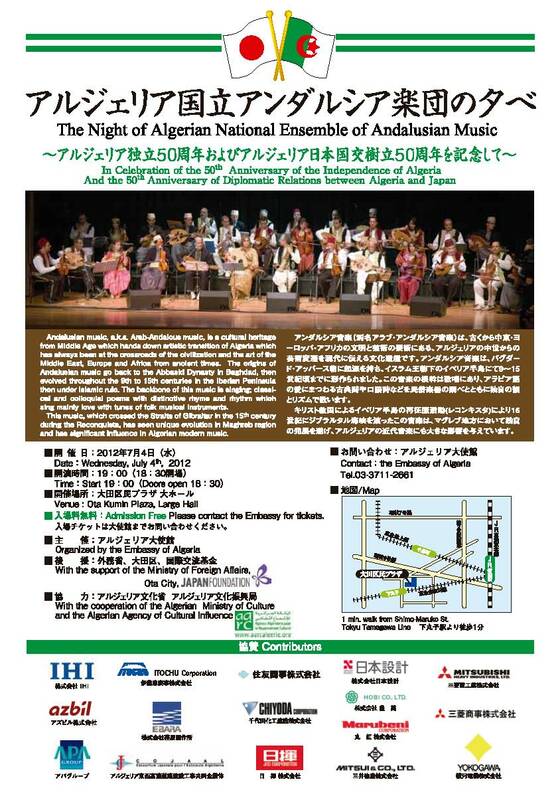 Arab-Andalous music, is a cultural heritage from Middle Age which hands down artistic transition of Algeria which has always been at the crossroads of the civilization and the art of the Middle East, Europe and Africa from ancient times. The origins of Andalusian music go back to the Abbasid Dynasty in Baghdad, then evolved throughout the 9th to 15th centuries in the Iberian Peninsula then under Islamic rule. The backbone of this music is singing; classical and colloquial poems with distinctive rhyme and rhythm which sing mainly love with tunes of folk musical instruments. This music, which crossed the Straits of Gibraltar in the 15th century during the Reconquista, has seen unique evolution in Maghreb region and has significant influence in Algerian modern music.